Deepti Sharma is a Vice President (VP) at OST. She is a business strategy and operations leader with a 15-year track record of championing corporate growth and development by providing business insights, aligning corporate priorities with daily operations, and evolving early stage ideas into future growth initiatives. In her role as VP, Deepti works with OST clients to establish and manage governance frameworks for revenue-generating programs. She also puts in place methodology she developed to predict risk before any traditional warning signs emerge, so preventive actions can begin early. For example, she worked with the Department of Transportation FAA Program Management Office (PMO) for its $2B NextGen program and the Modernization of HUD’s $26B Grants programs. Deepti and her team serve as a focal point for OST to analyze business processes, collect data, and conduct high-maturity analysis to drive performance. They merge industry best practices in quality with innovative tools and approaches to create transformational change across OST. Some examples include predictive modeling, statistical analysis, Balanced Scorecard, customer journey, and project playbook. 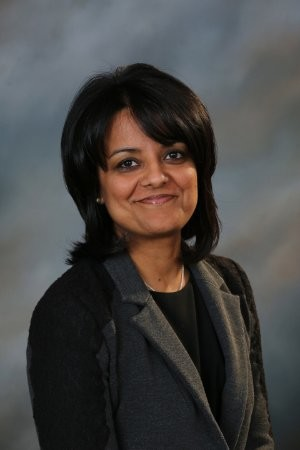 In addition, Deepti has combined Lean Six Sigma and CMMI principles, leading to customer cost savings and productivity improvements, including reduction in defect density from <10% to <3%; and decrease in mean time to resolution from 160 days to less than 7, while reducing cost to 25%; increasing testing velocity by 33%. Prior to being a VP, Deepti worked for several customer delivery efforts at the federal level and also led OST to ISO and Capability Maturity Model Integration (CMMI) L5 certifications. OST is one of only 27 companies in the U.S. to have obtained CMMI L5. She also developed OST’s Agile 5 methodology which combines traditional software development and statistical techniques to double velocity without sacrificing quality. This effort has served as a company differentiator. An article she authored on this methodology was published in a Department of Defense Journal, CrossTalk. Deepti is a member of the American Council for Technology and Industry Advisory Council (ACT-IAC) and has participated in its Voyagers Leadership Development Program for “Rising Stars” in government and industry. She has been invited to present at prestigious industry conferences like the Software Engineering Institute’s (SEI) Software Engineering Process Group (SEPG) Conference, National Defense Industry Associations (NDIA)and SEI’s “by invitation only” High-Maturity Conference . Deepti has a Master of Engineering from Cornell University and a Bachelor of Engineering in Mechanical Engineering, from Mumbai University, India. She also serves on the board of the AXIS Dance Company – a non-profit dedicated to removing barriers for people with disabilities.